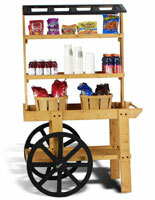 Quality inn supply products are a vital part of any hospitality venue. 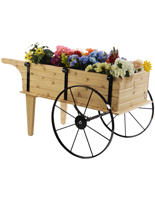 You want your guests to feel accommodated and comfortable as soon as they enter your bed and breakfast. 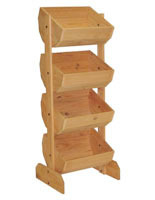 Our line of inn supplies will help you create a great atmosphere that welcomes every traveler. 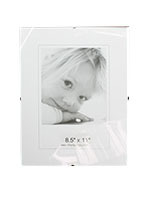 Shop bed and breakfast signs, table linens, photo frames, TV brackets, and more in this hand-selected collection! 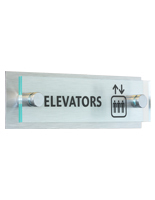 More Capacity (gallons) Options Available! 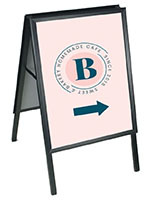 The first thing any bed and breakfast guest sees is your inn sign! 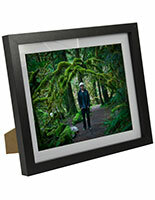 A wooden A-frame makes a cute sidewalk display that's great for enticing weary tourists and wandering passersby. An inn sign displayed in the window is also a good way to go. 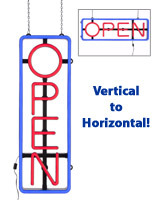 You can choose the classic neon "open" sign or create custom graphics and suspend them from the ceiling using one of our easy-to-assemble kits. 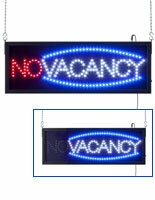 Many of our LED window signs for inns feature some type of "vacancy" message, which is great for letting customers know about availability. 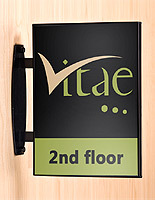 In addition to outdoor advertisements, indoor inn signs are very important, especially in larger buildings. 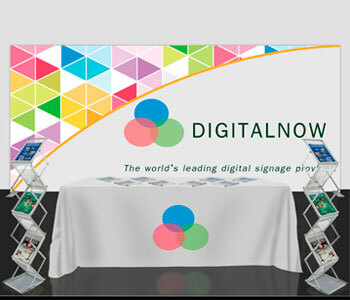 Displays2go offers a huge variety of wayfinding signage. 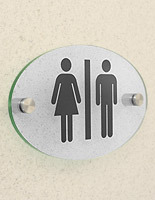 You can create your own custom graphics and mount them in prominent areas or you can purchase bed and breakfast signs with popular pre-printed messages such as "employees only" and "restroom." 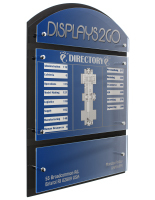 Consider placing a directory stand in the lobby to tell people where the main areas of the building are. 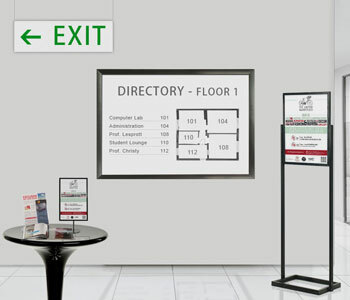 Inn directory boards welcome guests as they arrive and help avoid confusion. 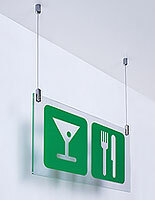 Simple acrylic frames are ideal for holding fire escape plans and other emergency instructions. 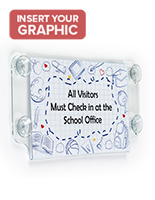 For a more eclectic appearance, you can also use traditional or colorful picture frames to display your inn signs! The appeal of inns and bed and breakfast locations is undoubtedly their rustic charm. 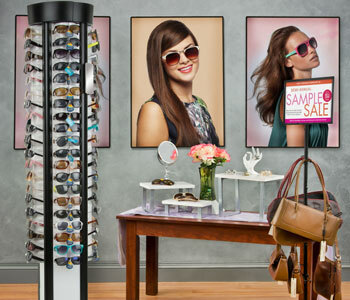 These hospitality venues are typically quaint and are decorated to feel like home. 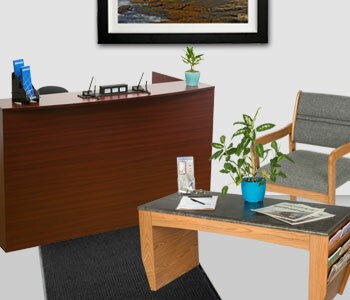 While inns are usually quite traditional, many owner/operators are changing the way they decorate to set themselves apart from other locations. 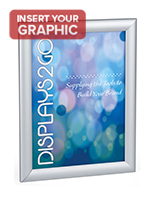 Displays2go offers a special line of inn supply products, which range from simple photo frames to table sets. 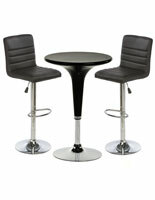 Bed and breakfast furniture, or inn tables, allow guests to relax in your recreation room or bar area. 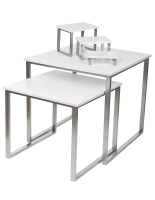 These unique pub table sets feature minimal designs but are still versatile enough to be used in rustic lodges. 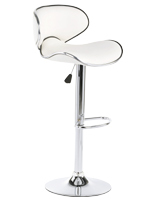 Many of these have a vintage style that can really set the mood and give guests a truly memorable experience. 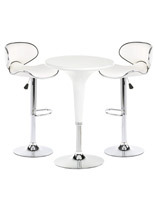 Cocktail tables can foster a more modern, festive atmosphere and are a great addition to common areas where guests can socialize over drinks or light appetizers. 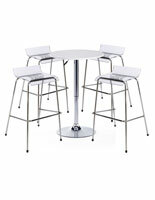 Highboy tables can be placed outside the dining room or by the bar and create a more social atmosphere. 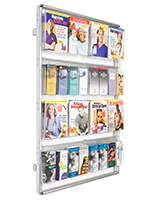 Retail tables can make great bed and breakfast supplies when used for displaying brochures and other activity information. 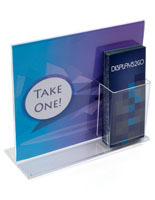 Our line of wooden store fixtures can function as innovative, unique inn displays. 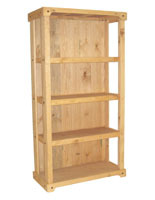 For an even more unexpected take, you can replace an inn table with a rustic wooden display box or shelf. 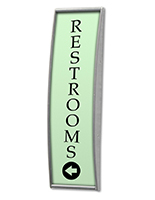 This inn furniture is especially useful for holding small amenities like bath soaps and hand towels at a front desk. 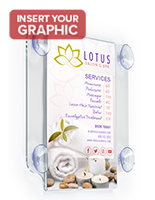 Wall mount brochure holders are bed and breakfast supplies that can really make a difference to guests. 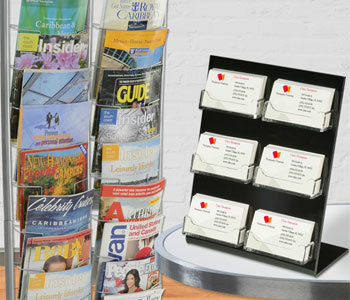 Having a designated area where guests can go to peruse magazines and pamphlets about local attractions is a great way to keep them happy and engaged during their stay. 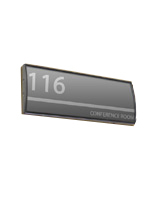 Inn furniture can also include technical amenities. 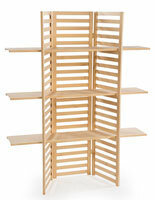 TV wall mounts and entertainment centers are great for rooms that feature flat screen televisions. 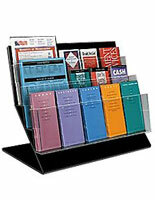 You might also consider providing a few sit-stand desks for guests on business trips. While B&B's aren't typically the first place business professionals choose to stay, they are becoming a more popular desination, especially for those that work remotely. 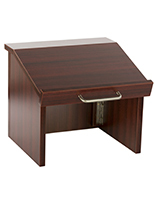 Whether your guests are day traders or novelists, they're sure to appreciate the unexpected accommodation these adjustable desks provide. 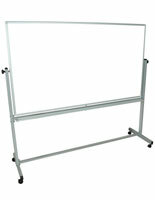 If you operate a larger venue with event rooms, you might want to add presentation equipment. 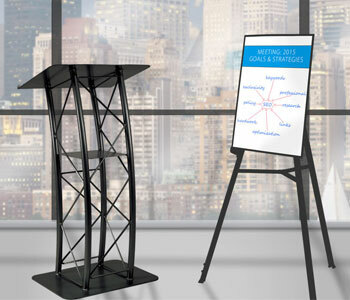 Some common items available from Displays2go include conference tables, projector mounts & screens, sound systems, and other furniture. 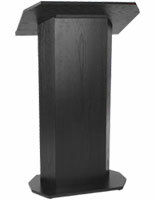 Lecterns, or podiums, are also great for these meeting rooms as long as there is enough space. 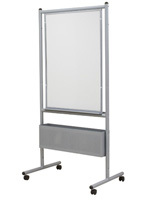 Simply providing access to a meeting room stocked with whiteboards, tables, and chairs goes a long way in helping your working customers get the job done! 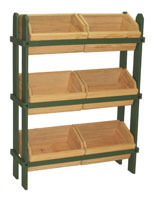 Our bed and breakfast supplies are also great for outfitting any food service areas. 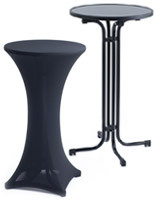 We carry a full line of buffet service equipment, from water pitchers and airpots for warm coffee to cereal dispensers, banquet style tables, and even linens. 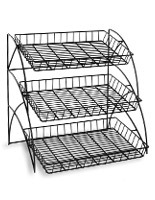 These B&B supplies are useful for stocking continental breakfast areas. Whether it's a partial spread or a whole affair, breakfast is all about choices and amenities! 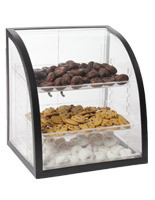 Providing bagels and muffins in an acrylic bakery display will keep your food looking great but also sanitary. 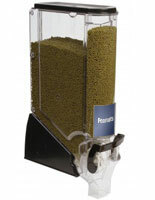 Gravity dispensers are great for cereal and granola, allowing guests to pour just the right portion, eliminating waste. 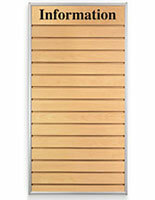 Display fresh fruit in a melamine serving dish, and keep a few pitchers of orange juice and water handy. 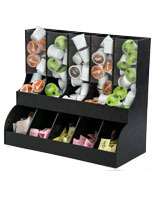 Coffee dispensers and condiment holders can be placed next to each other to create the perfect self-serve drink station. 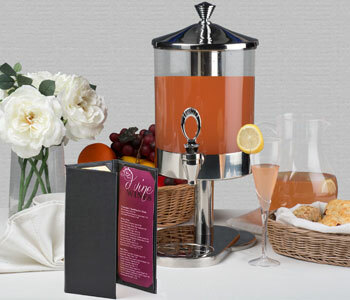 Shop a variety of beverage dispensers, scoop bins, serving trays, display risers, and even napkins. 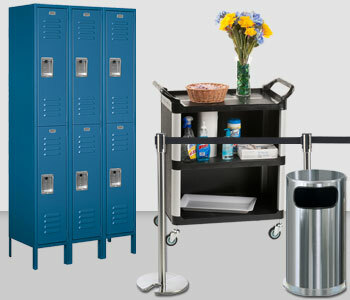 Drink and food service stations are always better with condiment caddies, napkin dispensers, and accessory organizers. 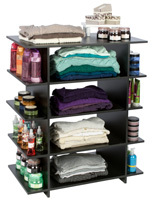 Short on counter space? 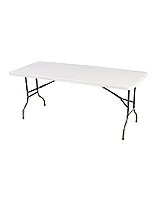 Pick up some foldable tables and some high quality bed and breakfast tablecloths to complete your food station. 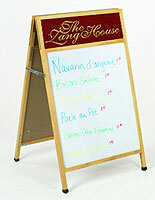 After a delicious morning meal, guests will want to plan their day. 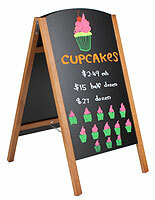 Bed & breakfasts can use corkboards or rubber tackboards to post memos and keep guests informed of relevant news. 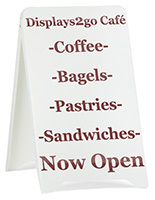 These inn signs are great for flyers and are easily customizable to match any décor and theme you'd like. 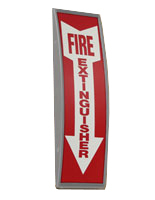 B&B signs placed in prominent areas can be especially helpful if weather reports are a concern in your area, such as snowstorms or hurricanes. 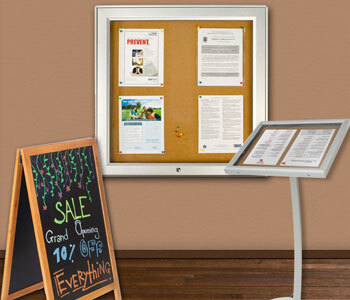 In any climate, having a message center can help your guests make the most of their stay! 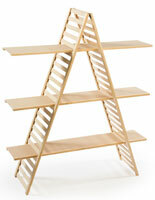 As you can see, bed and breakfast furniture and supplies includes a broad selection limited only by your creativity. 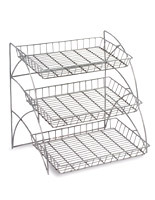 The best B&B supplies are those that anticipate and fulfill your guests' needs before they even have to ask.